On the left is a parachute tent made to look like a brain. 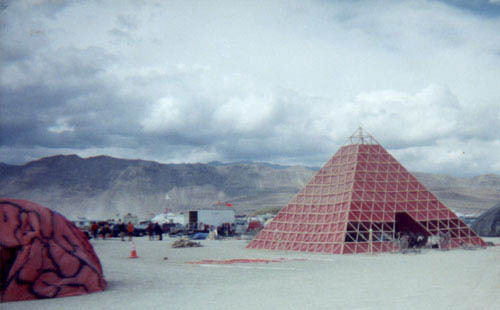 The pyramid had a variety of different music playing all week. Chairs and couches were inside to kick back and relax on.